As you may or may not be aware I will sometimes post about a charitable event or one of great importance without any compensation what so ever--this is one of those posts. I will bring this post back nearer to the event date to remind everyone! JJ Ramberg host of MSNBC’s Your Business one of the co-founders of Goodshop.com wrote the following post. The national event will take place on Sunday, November 29. By Offering Thousands Of Exclusive Savings and Double Donations, Goodshop Sunday Is The Day To Do Your Online Shopping This Holiday Season. SAN FRANCISCO, August 26, 2015-- Goodshop.com -- the company known for its innovative “coupons for good” shopping website -- announced its second annual Goodshop Sunday event to be held on November 29, 2015, the Sunday between Black Friday and Cyber Monday. For the second year in a row, Goodshop.com will be offering Goodshop Sunday as an antidote to an oft-lamented holiday shopping season that many feel is devoid of holiday spirit. Last year, the day was marked with a viral twitter campaign #GoodshopSunday, and was featured by many major press outlets (such as Good Morning America, and the Today Show). It also received support from many in the celebrity world, including Orange Is The New Black’s Danielle Brooks and Twilight’s Kellan Lutz. Participating in Goodshop Sunday has never been easier. Leading up to Goodshop Sunday, thousands of stores will list their best coupons and deals on Goodshop.com. 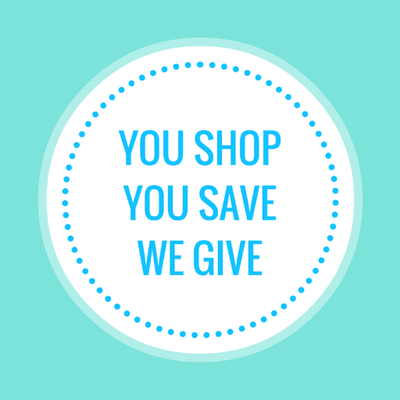 In order to take advantage of both the deals and donations, users simply select their desired cause (ranging from The American Cancer Society to a local SPCA) when they sign up on Goodshop.com’s website. Once a cause has been chosen: the online world of deals and discounts awaits-- with each participating merchant offering donations anywhere from 1% to 15% of the final purchase price. According to a recent Goodshop Consumer Survey, conducted through Survey Monkey, 76% of American consumers wish that they could be doing more during the holidays to support the causes they care about, and 87% report that it makes a difference to them whether or not the products that they buy support a cause in some way. Across the board, American consumers lament the fact that there isn’t more opportunity for them to give back during the holiday season, which they view as directly due to the amount of time and money they spend on buying gifts for their loved ones. This is made clear when you look at the numbers further: 47% of consumers reported that they would spend more money during the holidays if they knew that their purchases would be giving back. Goodshop.com provides a remedy to this problem with a simple solution: Goodshop Sunday. A “coupons-for-good” shopping day nestled in between Black Friday and Cyber Monday, for consumers to do their holiday shopping without having to sacrifice the holiday spirit that brings them there in the first place. Their motto, “You Shop. You Save. We Give” encapsulates what the day will entail: the chance to shop at the best merchants, save with access to thousands of online coupons, and give back with every dime spent. In addition, on Goodshop Sunday, select retailers will be upping the stakes by offering exciting double donations and Goodshop exclusive deals. The impact of buying your holiday gifts on Goodshop Sunday is significant. So far, Goodshoppers have helped raise nearly $12 million for the 110,000 nonprofits and schools that Goodshop.com partners with. Additionally, Goodshop coupons have helped save people over $100 million. Heralded as “The best way to save money and give back” while shopping online and a method of commerce that is “in great need”—Goodshop Sunday promises to make a real impact on how shopper’s approach gift-buying this November. Headquartered in San Francisco, CA, Goodshop.com is the go-to place to save money online. Through its innovative online platform, Goodshop.com has forged a connection between retail savings and non-profit and school fundraising—by creating coupons that give back. 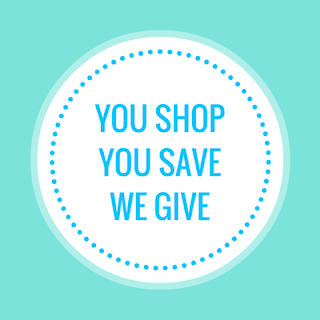 Not only does it provide the best coupons and deals at thousands of stores including Target, Kohl’s, Old Navy, and Macy’s, but if you select a nonprofit or school to support, it donates a percentage of the purchase from many of these stores back to that organization. Launched in 2006, the Goodshop.com family of sites has raised nearly $12 million for its participating causes. I RECEIVED NOTHING FOR POSTING THIS. All opinions expressed are my own honest opinions. For more information please check my Disclosure Statement. Our giveaways are in no way sponsored or promoted by Facebook. I love finding things my family needs and helping a charity at the same time! Can't wait to shop! This sounds like an awesome campaign. Goodshop Sunday sounds amazing and I am for sure going to be checking them out. I will have to share this with my sisters and mom too. Thanks for sharing. I love that so many people want to give back and do more. It reaffirms my faith in mankind.